As a kid and now as a Mom, one of my favorite memories has been heading downtown Minneapolis for the Macy’s Santa Land. Going up the escalator until you reach the magic level, or so I thought when I was younger. Actually it is the 8th floor, but it really seemed like the magic floor when I was younger. Passing through several departments and then waiting in line. The smell of fresh gingerbread greeting us as we made our way to the scene. “A Day in the Life of an Elf,” is great for all ages, plus there is no admission to walk through it. Check out the schedule here. Take in the magical, animated display of “A Day in the Life of an Elf,” telling the story of Santa’s elves as they prepare for Christmas. Then, visit Santa and tell him all your wishes! 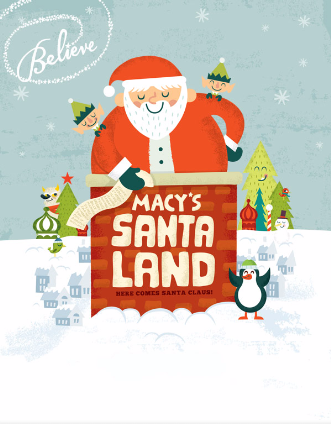 Macy’s 53rd Annual Minneapolis SantaLand enchants guests of all ages as Santa Claus makes his annual appearance on November 21st through December 24th to gather the holiday wish lists of children across the world. 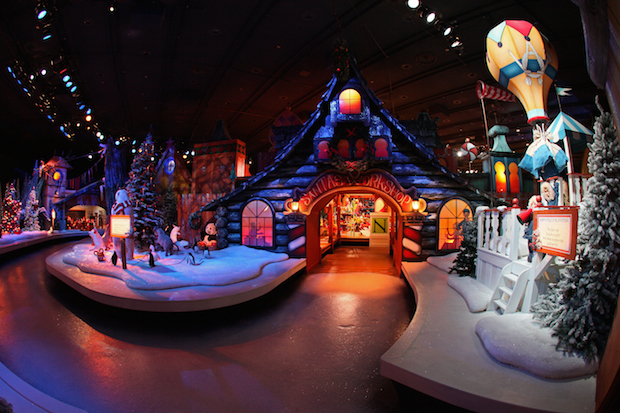 Guests will be mesmerized as they walk through the animated story of Santa’s elves preparing for Christmas at the North Pole. Various photo packages are available when guests meet with Santa. After meeting Santa, guests will discover Mrs. Claus’ Holiday Bakery, which includes her famous gingerbread cookies and other holiday treats, as well as Santa’s Toy Shop. Guests can also help make children’s wishes come true by throwing their coins and dollars into the Make-A-Wish® Wishing Well, all donations go to a local Make-A-Wish chapter.